Stylish machines, delivering fresh coffee straight from the bean. 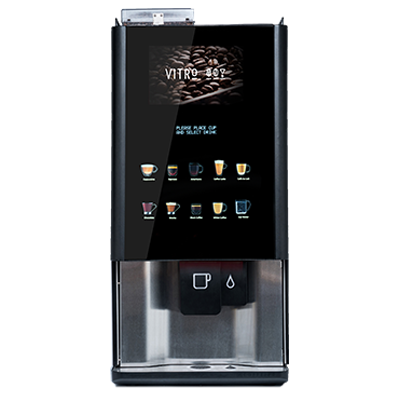 The Vitro X3 & X4 Espresso expertly designed high pressure 9 bar brewing system and three soluble canisters serve a wide drink selection, including all your coffee shop favourites from hot chocolate to authentic espresso and espresso based speciality coffees. NEW MEDIA SCREEN - X4 has the option of an additional 10” display screen, which can be used for promotional or allergen/ nutritional information.